LOWE – Desiree Brenda Elizabeth daughter of Darren Lowe and Karen Leblanc, of St. John’s NL, passed away suddenly on January 24, 2014 in Health Science Centre, St. John’s NL. Surviving besides her parents are her sister Chelsea Saulnier of Wolfville, maternal grandmother Juanita (Lloyd) Wolfe of Liverpool, maternal grandfather Kevin (Tracy) LeBlanc of North Sydney, paternal grandparents Gwen and Lloyd Lowe of Milton. Maternal great grandparents Muriel Smiley of Bridgewater and Norman and Dorothy LeBlanc of North Sydney. She was predeceased by her maternal great grandfather Douglas Smiley and paternal great grandparents Ron and Nora Lowe, Jean and Doug Powers. A private family graveside memorial will be held at a later date in Holy Redeemer Cemetery, Port Medway. Donations may be made to the Canadian Cancer Society or the Canadian Diabetes Association. Online condolences may be made to www.chandlersfuneral.com. We were sorry to hear about Desiree. Our thoughts and our prayers are with your family. 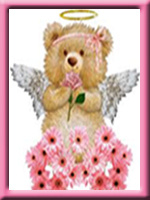 Jaunita and Karen….So sorry for your loss….Thinking of you and God Bless You and the family!!!!! angel in his arms, Take care everyone. To all the members of Desiree’s family we wish to extend our condolences. So very sorry to hear of your loss. We are so saddened to hear of your loss. These are hurts that only Jesus can heal, and we pray for His comfort for you all at this time. God be with you through this trial, thoughts and prayers from Carla and Tony. granddaughter’s passing . Our thoughts and prayers are with you and all your family. My heart goes out to you all…….. god has another angel with him. juanita lloyd and gwen and lloyd lowe we are sorry for your heartaches. she is at peace with other little angels. we are thinking about you. Although we have not spoke as of late Karen and Darren, Please know that… regardless- my heart breaks for the both of you. Such a sad time for you and your family..If there is anything I can do- you know how to reach me. Very sorry for your loss.Keep your strength by supporting each other. Darren, Karen, Chelsea, Lloyd and Gwen very sorry to hear of Desiree’s sudden passing . My thoughts and prayers are with you at this difficult time. My thoughts & prayers are with you all. GOD Bless! Gwen ,Lloyd and family our condolences go to all the family.Know that God knows best and will comfort you. We are very saddened and sorry to read of your sudden loss Juanita and family. Our most sincere thoughts of sympathy to all. Juanita and Lloyd our thoughts and prayers are with you and your family at this very sad time. Take care. Karen, Juanita and Lloyd, We are so very sorry for your loss. You are in our thoughts and prayers. We are very sorry for your loss. Our thoughts and prayers are with you all. Deepest sympathy to all of Desiree’s family. May you find comfort and strength from the love and support of family and friends.